Let the pilots at Glacier Air take you beyond the Squamish you know to experience an entirely new Squamish from above as you soar over one of the world's most exquisite coastal mountain ranges. 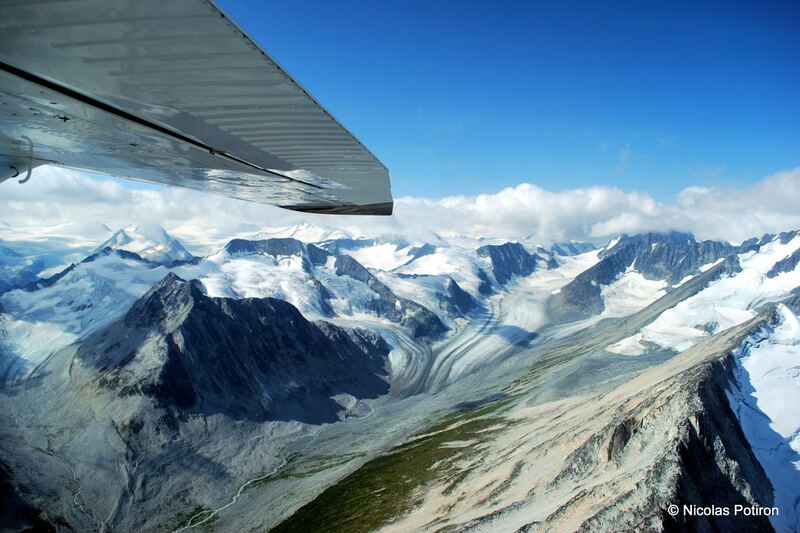 Enjoy a birds-eye view of spectacular snow capped peaks, ancient glaciers, lush rain forests and turquoise alpine lakes in comfort and safety with the Sea to Sky region’s original air tour operator (since 1974). Choose from one of many popular tours, the Tantalus Ice Falls tour (25 minutes), the Garibaldi Park Volcanic Wonder (40 minutes), the Ice Fields Exploration (60 minutes) or work out a customized tour with your pilot. Looking for a real aerial adventure? Why not try a flying lesson or Aerobatic flight with our fully qualified flight instructors! Be in control of your adventure! Glacier Air is open 7 days a week, year round, featuring scenic air tours, aerobatic experiences, charters and a mountain flying school.